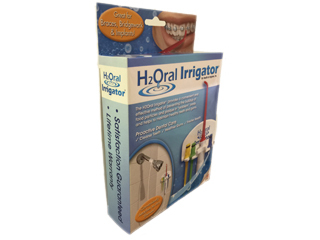 The H2 Oral Irrigator® provides a convenient and effective method of preventing the buildup of food particles and plaque in "problem" areas and helps to maintain healthy teeth and gums. Conveniently Attaches to any Shower! 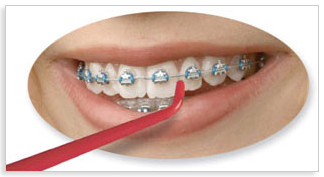 Great for Braces, Bridgework & Implants! Open wide! Your mouth can reveal a lot about your health — from heart problems to bone disease to dementia. This gradual loss of cognitive function is often signaled by confusion, loss of memory, disorganization — and an unhealthy mouth. "People with early dementia may show all the signs of poor oral hygiene," warns Koslow. In fact, poor oral hygiene may even be a risk factor for dementia, according to a recent study published in the Journal of the American Geriatric Society. Scientists at the University of California followed more than 5,000 elderly people over 18 years and found that those who brushed their teeth less than once a day were up to 65 percent more likely to develop dementia than those who brushed daily. The researchers speculate that this is because gum disease bacteria might get into the brain and cause inflammation. If you notice that a loved one is neglecting her oral health, skipping dental appointments, and having problems managing daily routines, talk to her doctor.